The Round the Houses 10K at Grangemouth incorporated the East 10K Road champs resulted in William Mackay (Aberdeen AAC) East champion in 31.16 with James Donald (Dundee Hawkhill H) second as well as first U20 then John Lenehan (Edinburgh AC) third in East Champs. The first Master was Leon Johnston (Edinburgh AC). Women’s East Champion was Steph Pennycook (Edinburgh University H & H) in 34.14 from Fiona Brian (Metro Aberdeen) with Jo Williams (Lothian RC) third. Fiona Matheson from host club Falkirk Victoria Harriers was first Master Woman. 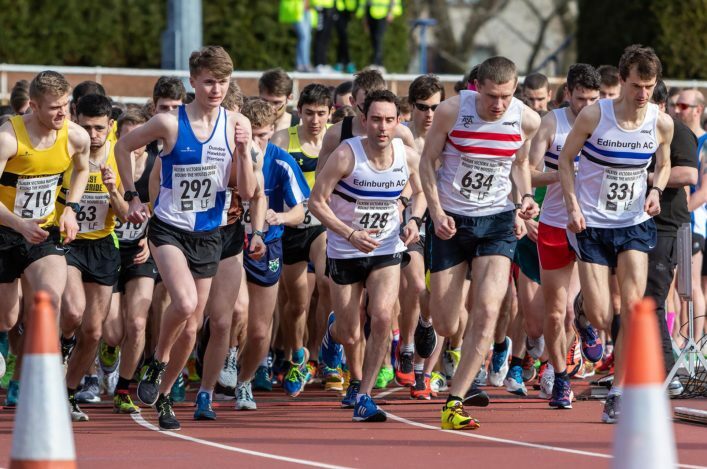 The race also incorporated the Scottish Students 10K Championship with Gavyn Chambers (Glasgow University H & H) winning the individual title after finishing third in the overall race and leading Glasgow University to the men’s team title. Pennycook won the individual title and led Edinburgh University to the women’s team title. A flat fast course with little wind made for some good times with 680 finishers. The first Throws Grand Prix of 2018 (incorporating Hammerama and IPC Throws) took place in Inverness on Saturday – results are now available on our website. 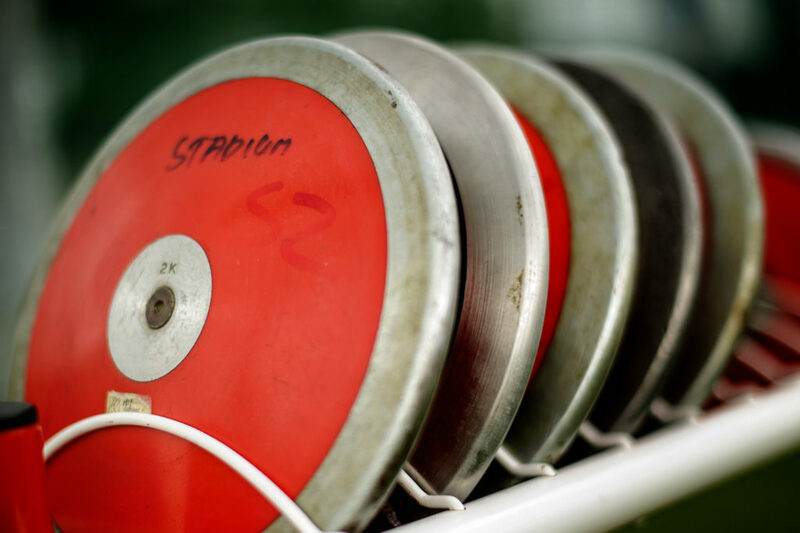 With 135 entries on the day, there were PBs in abundance with athletes moving up an age group and a number who were first time performers at the event – PBs by discipline were: shot: 23, discus – 20, hammer – 15 and javelin – 20. 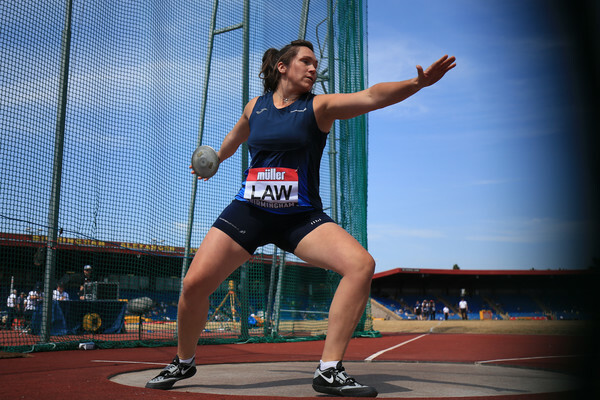 Seated throws had seven entrants, with PBs for Kirsty Soutar in club and Matthew Craig in javelin. Many thanks to all officials and others who made the event possible. Next in the series will be 19 May at Craigswood, Livingston, entries are now open. 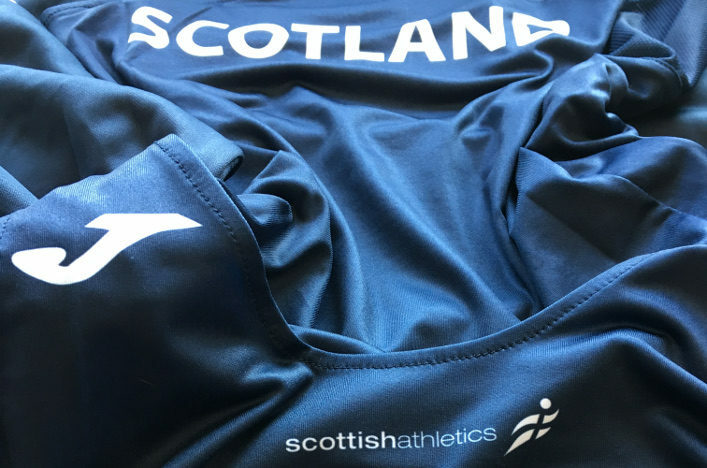 On her return to race running, which will debut in the IPC European Champs in October, Scotland’s Kayleigh Haggo set a new RR2 world record over 200m of 41.27 at Kingston in London on Saturday. Well done to Kayleigh (pictured on right in the tweet) and her coach and family from all at scottishathletics! 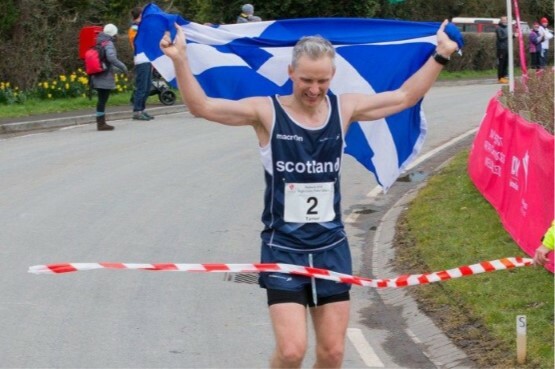 It’s been a superb weekend for Scottish ultra runners, with Paul Giblin winning the 100 Miles of Istria trail race in Croatia in 21.06.53 The event is part of the Ultra Trail World Tour and had a punishing 6500m of climb. Full results. Victory of Paul Giblin (@pyllon ) 🇬🇧 at @istria100 in 21h06m53s ! Closer to home, Grant MacDonald (Garscube) won the Crawley 24hr track race with an astonishing run of 233.73km/145.5 miles. Dave More from Metro Aberdeen was 2nd in the men’s race with 196.62km (122 miles). Full results. With thanks to Adrian Stott.